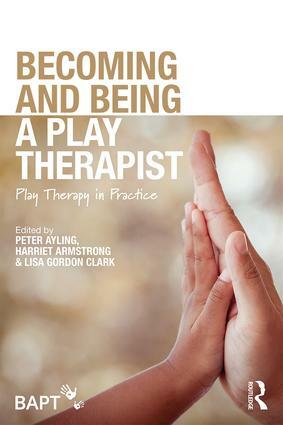 Becoming and Being a Play Therapist: Play Therapy in Practice presents a rich and illuminating account of current play therapy practice, with an emphasis on becoming and being a play therapist and on some of the varied clinical contexts in which play therapists work. Written by members of British Association of Play Therapists, this book highlights the current complexity of play therapy practice in the UK and reflects the expertise of the collected authors in working with emotional, behavioural and mental health challenges in children and young people. Training and establishing oneself as a play therapist in the UK, a comprehensive guide. The improvisational practitioner; therapist responses to resistance and aggressive play. Systemic considerations in play therapy with birth families and adopters; advantages and challenges. Case-study based explorations of play therapy across a range of service user groups, including childhood trauma, bereavement and sexual abuse, and agency contexts, including school and CAMHS settings. Becoming and Being a Play Therapist will be relevant both for play therapy trainees and for qualified play therapists as well as for related professionals.